Unravelling unhelpful attitudes and habits of thought as well as of physical use. Robin enjoys working with students of any level who have an enthusiasm for developing themselves and their playing and musicianship. Ultimately his intention is to help students become their own best teacher, with the understanding and resources to enjoy their music-making, solve technical problems, interpret and communicate music and continue to improve indefinitely. 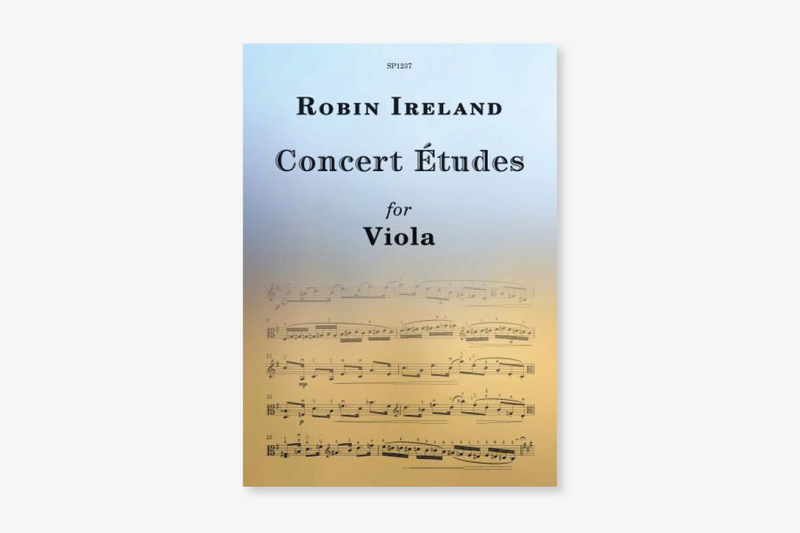 Robin’s set of 12 concert études was published in January 2014 by Spartan Press. Their website gives a link to recordings of études performed by Robin, and also offers samples of études to look at in print. ‘Many violists have grown up on a diet of violin studies transcribed for viola, and plenty have thrived on them, even though the studies are often composed with melodic patterns and fingerings that suit the violin better than the viola. My first aim in composing some new study material for the viola was to write specifically for it, in ways which suit it both technically and tonally. The concert études should be appropriate for viola students from Grade 8 upwards. Copies are available at £9.95 from Spartan Press. Here is a list of contrasting approaches and tendencies that may relate to how you practice. Go through the list, and if you recognise patterns in your own approach, make a point of balancing your tendency with its complementary approach.